The Women's Etta Striped Jersey Dess from Weird Fish is perfect for when the longer evenings start to draw out and the barbques start to roll in. The dress is super-soft with short sleeves and a simple round neckline that's perfect for keeping you cool and comfortable in the warmer weather. 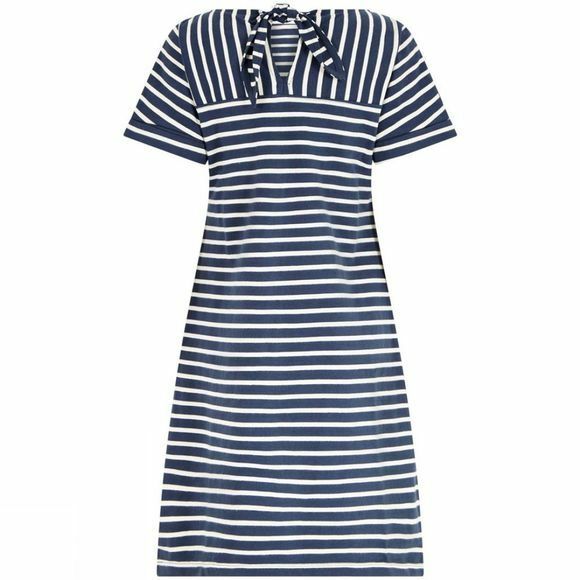 Easy to wear, with a pretty knot detail to the back neck and flattering stripes throughout, it is a summer must-have. In adition there are two hand slip pockets and an embroidered Weird Fish logo on the left pocket. 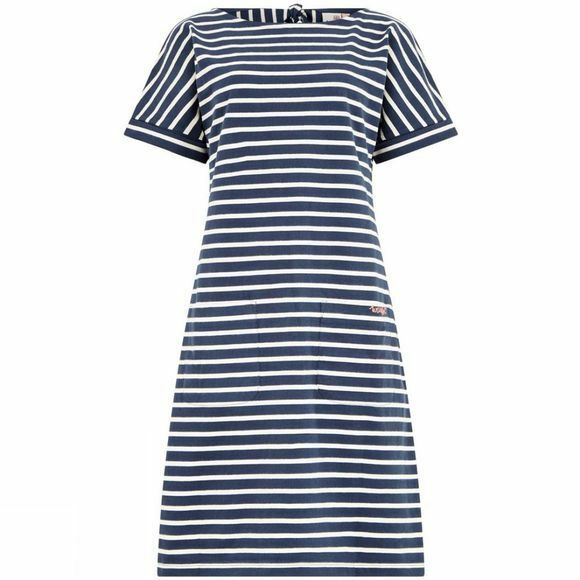 Made from 100% super-soft cotton, the Etta striped jersey dress is cut just above the knee and is versatile enough to dress up or down depending on your day!